You may or may not have stumbled upon these food in beyond the borders of our country - but only in Malaysia will you get the real deal. 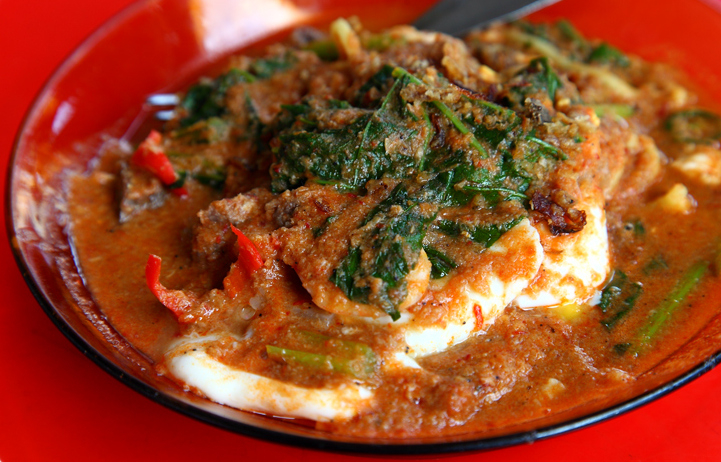 Well, here’s a list of 55 authentic ‘only in Malaysia’ food - let the hunger games begin! While the Italians have giardiniera and the Koreans have kimchi, Penangites have their very own acar awak. This classic Peranakan relish is mildly spiced with a joyful jumble of sweet and sour that will surely get you salivating. Acar awak is concocted of mixed vegetables stirred in a rich, spicy paste that’s complemented with drops of roasted sesame seeds and ground peanuts. This tantalizing condiment instantly adds zing to whatever you’re eating. Handmade with a generous amount of eggs, flour, coconut milk and gula melaka, kuih akok is a traditional snack is well-loved by Malaysians of the eastern coasts states. The Kelantanese like them in kedut (wrinkly) form whereas it is the opposite in Terengganu. Either way, both variants taste deliciously sweet and eggish and will most certainly make you crave for more. 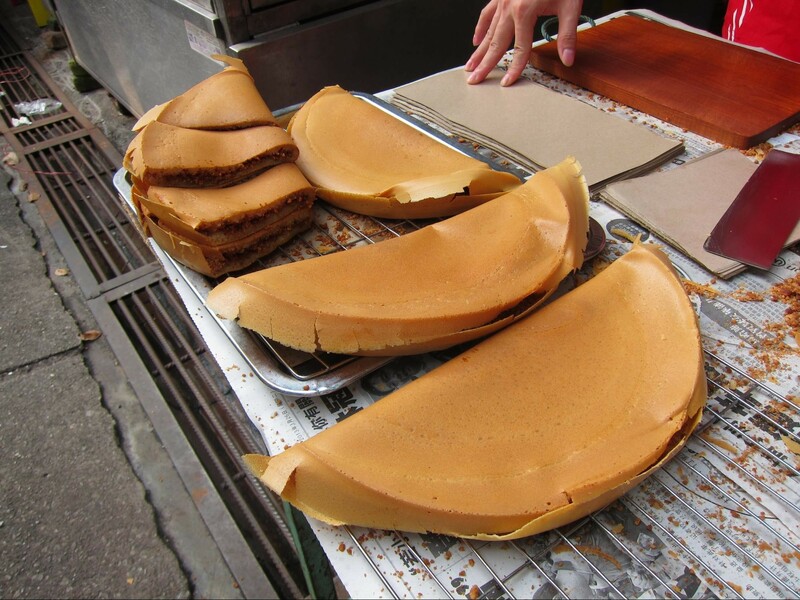 Apam balik is a Malaysian pancake turnover stuffed with delicious filling- your choice of either buttery, cream corn or crunchy peanut granules. 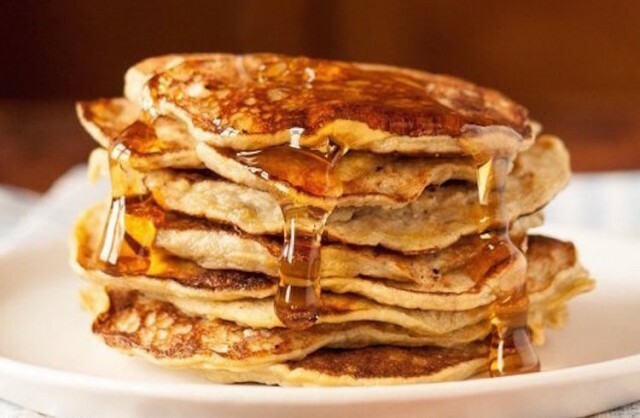 These pancakes come in versions of thick and thin- and there, you have the best of both worlds. The thin ones are so crispy, they crunch so loud with every bite whereas the thick ones are soft and moist and are of ultimate fluff. Apom manis has its roots from the plain-tasting Indian apom - but the former tastes sweeter with a richer eggy taste, hence the addition of the word ‘manis’ to it’s original name. This famous Penang delight is full of fluff and satisfies your sweet cravings just right. It’s light texture also makes it perfect as an in-between meals snack. Apom manis should be on your food hunt list the next time you step into Penang. 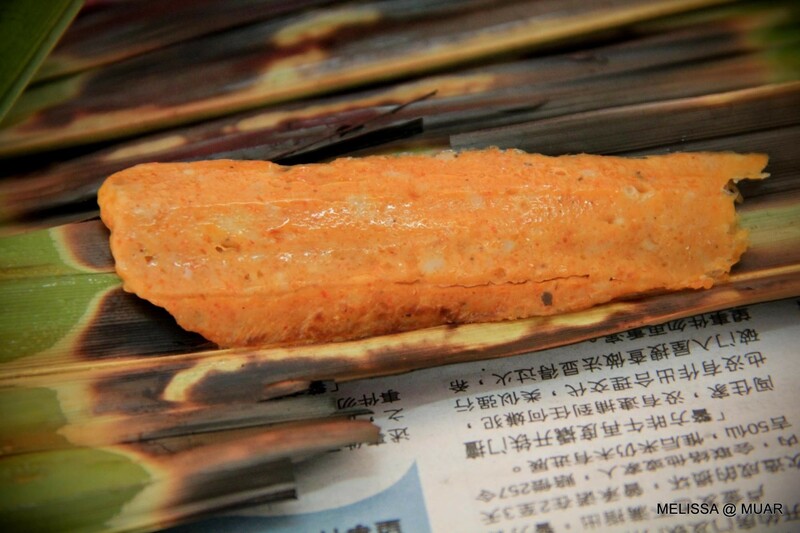 This exotic Sarawakian delicacy is essentially chicken cooked in bamboo over open fire. Ayam pansuh implements a natural cooking method not only to keep its flavours and nutritions sealed, but also to impart a texture (on the meat) like no other- which can hardly be achieved using other cooking methods. Ayam pansuh is cooked without oil and is packed full with nutritional herbs- this dish surely wishes you to be in the pink of health. 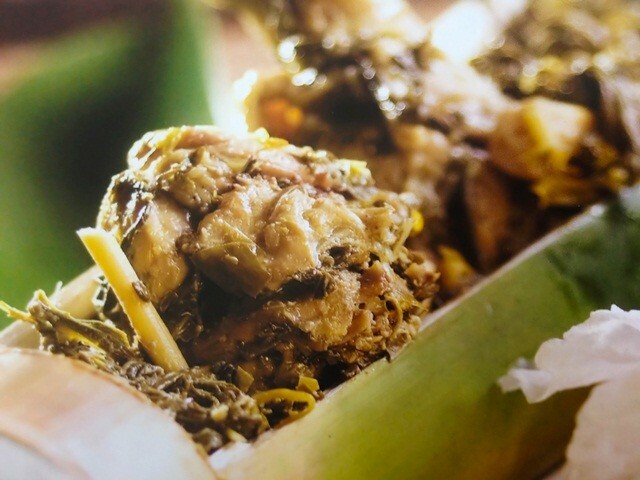 Ayam Percik is a traditional Kelantanese dish and is well-loved not only by people of the state, but most Malaysians. 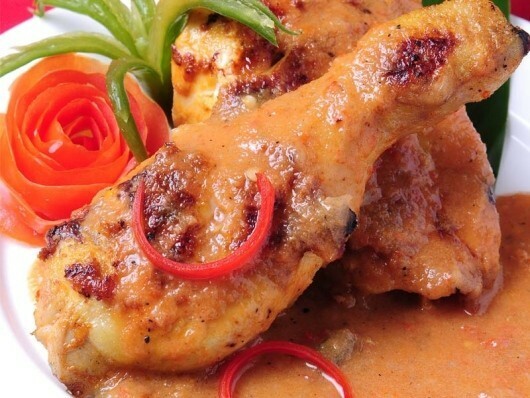 Grilled chicken meat infused with herbs and spices overnight, with creamy coconut milk slathered all over to enhance its flavour- these two ingredients run and swirl together, amplifying each other’s flavour. 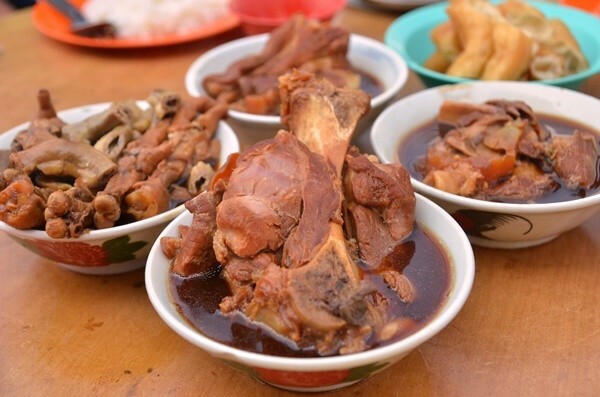 We know how famous “meat bone tea” is in Asia but where else can you devour a good bowl of Klang Bak Kut Teh? That’s right, only in Klang, Malaysia. The Malaysian version of Bak Kut Teh serves soup that is thicker texture and cloudier in colour. Tender yet firm pork ribs bathed in bubbling, hot, flavourful broth - the word ‘bak kut teh’ itself instantly puts a smile on even the grumpiest faces on an early weekend breakfast. This Indian-inspired flatbread is made from ghee, eggs and flour, and is something that Malaysians can’t live without. 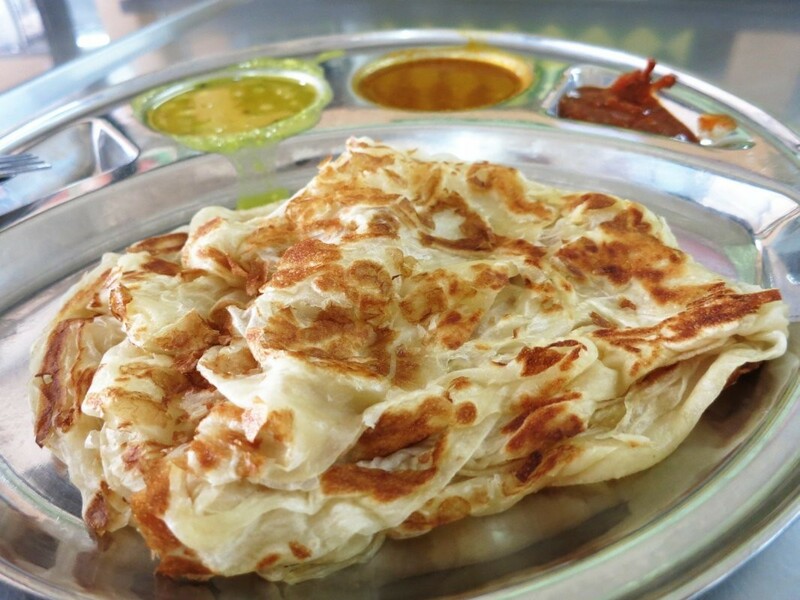 Roti canai cravings are possible at any time of the day- breakfast, lunch or dinner, or even at the wee hours of guilty pleasure. Not to mention that this crispy and flaky yet fluffy piece of bread shares striking similarities with what’s known as roti prata in Singapore. 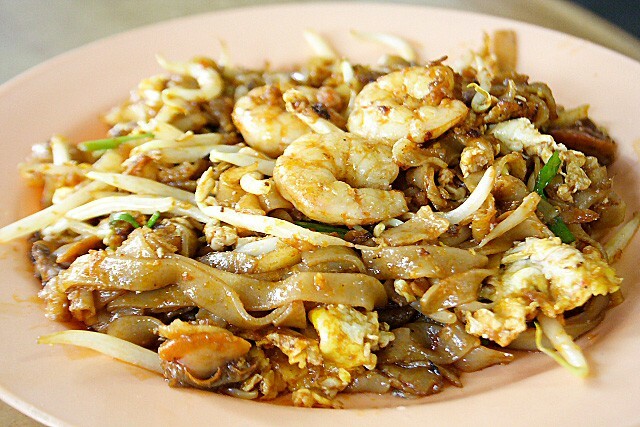 Although this famous dish can be savoured throughout the country, no plate of char kway teow can beat the real ones you get from the hawkers in Penang. Stir-fried flat rice noodles accompanied by eggs, bean sprouts, chives, juicy prawns, succulent cockles and lap cheong - a plate of Penang char kway teow will provide you with an explosion of flavour. Not forgetting the alluring aroma of the wok hei (breath of wok), you won’t be able to resist walking past the char kway teow stall without getting a packet for yourself. These chicken rice balls are amaze-balls, literally. 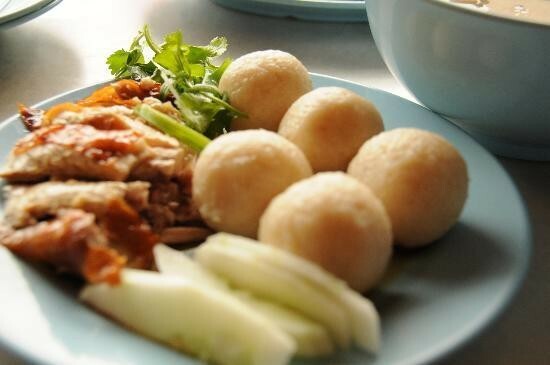 Hainanese chicken rice balls is a well-renowned delicacy in Malacca. The amount of people willing to queue under the heat just to get their hands on them simply proves that chicken rice balls are really that good. These edible balls are usually served with a plate of Hainanese Wenchang kampung chicken with a signature chilli sauce. 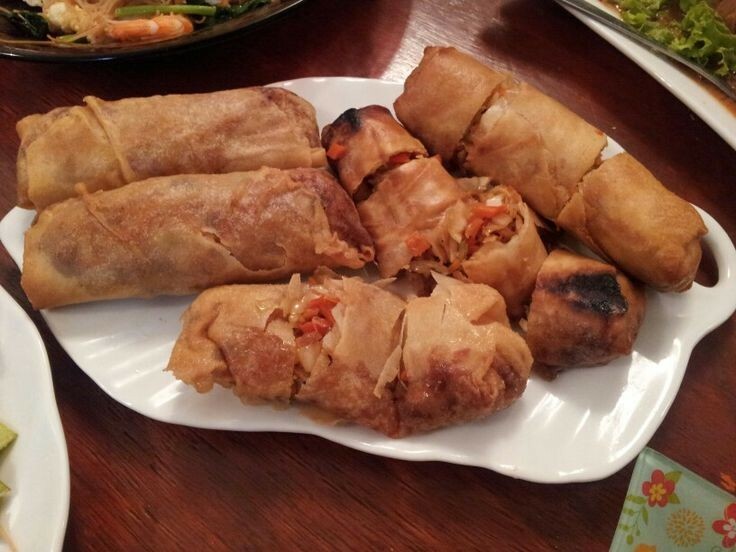 Choon pneah are Hainanese spring rolls not to be mistaken with popiah. Deep-fried spring rolls stuffed with shredded vegetables and minced pork, crabmeat and shrimps, choon pneah is deliciously crunchy and is no wonder why it is an irresistible delight in Penang. 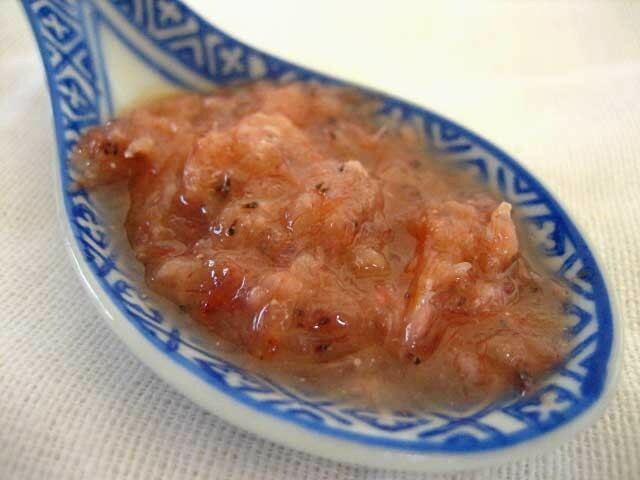 Cincalok is made of fermented geragau (shrimps) that is slightly salty and has a mild sour taste to it. This Malaccan food often served as a condiment or made use as an ingredient in the kitchen. The cincalok omelette is a dish that’s delicious yet deceptively simple to make, perfect for all lazy bums out there. 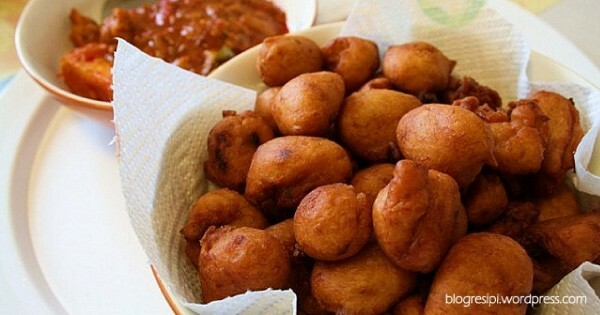 Some call these cekodok, while it is known to others jemput-jemput. These deep-fried balls of mashed bananas, eggs, flour and sugar go pretty well with a hot cup of coffee or tea and are undoubtedly a favourite afternoon snack among Malaysians. The alluring aroma that wafts from a bowl of curry mee is truly pleasing, typically on a cool, rainy day. This Malaysian hawker fare is a hearty blend of curry and coconut milk that is very much loved by locals and tourists alike. 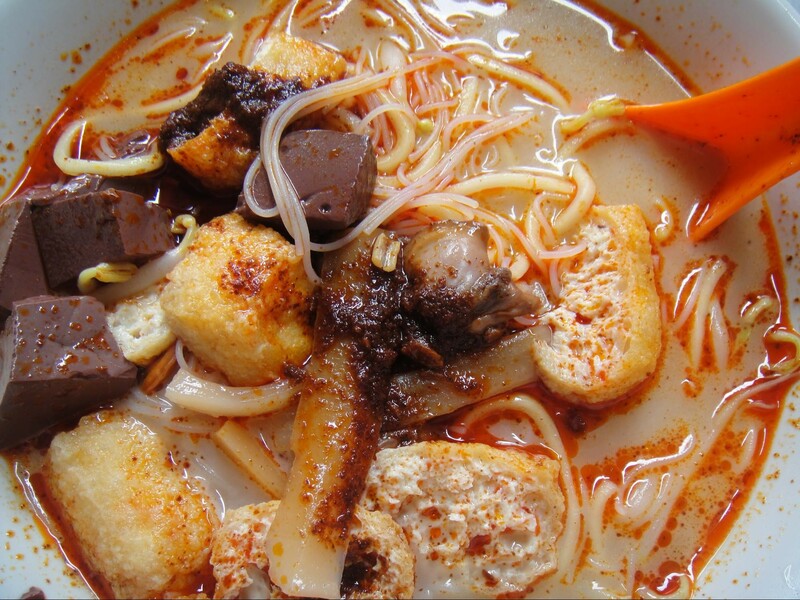 Curry mee can be found almost everywhere in Malaysia and its neighbouring countries but what makes the Penang version shine are the coagulated blood cakes that are served in every bowl of Penang curry mee. A common dish done uncommonly well indeed. 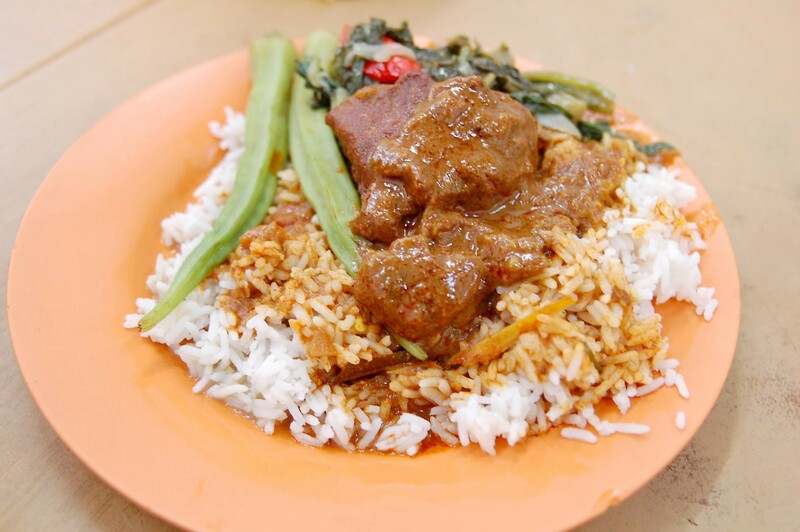 Nasi dagang is a staple breakfast for the Kelantanese and people of Terengganu. The fusion of fenugreek seeds and coconut milk gives this traditional dish its flavour and fragrance like no other. 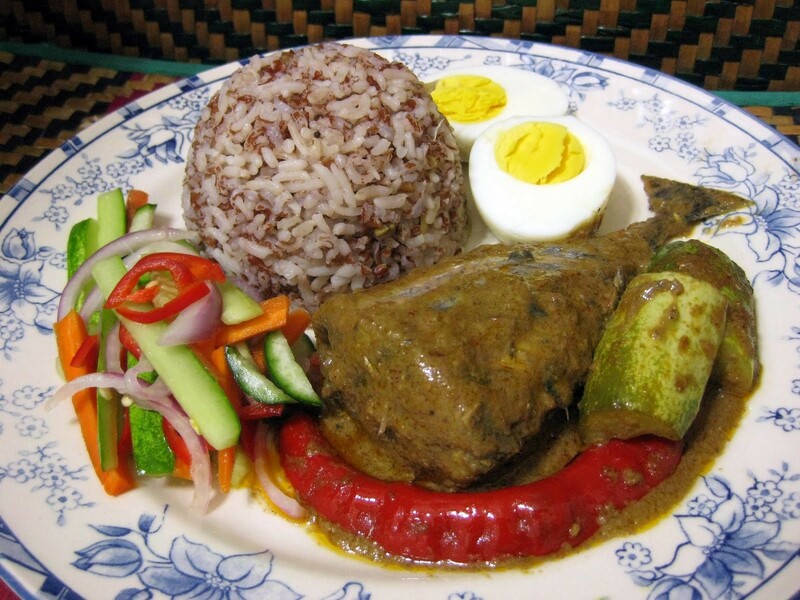 Nasi dagang is best eaten with gulai darat (fish curry) and vegetable pickles. Heong Peng is one of those pastries that you cannot eat without making a mess. 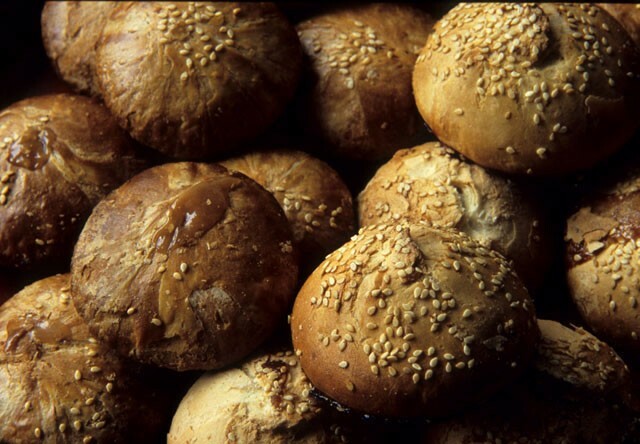 Its flaky baked crust garnished with sesame seeds is home to a sweet, tangy filling made from malt and shallots. Where to grab a hold of these pleasant mess, you might ask? Ipoh is where. 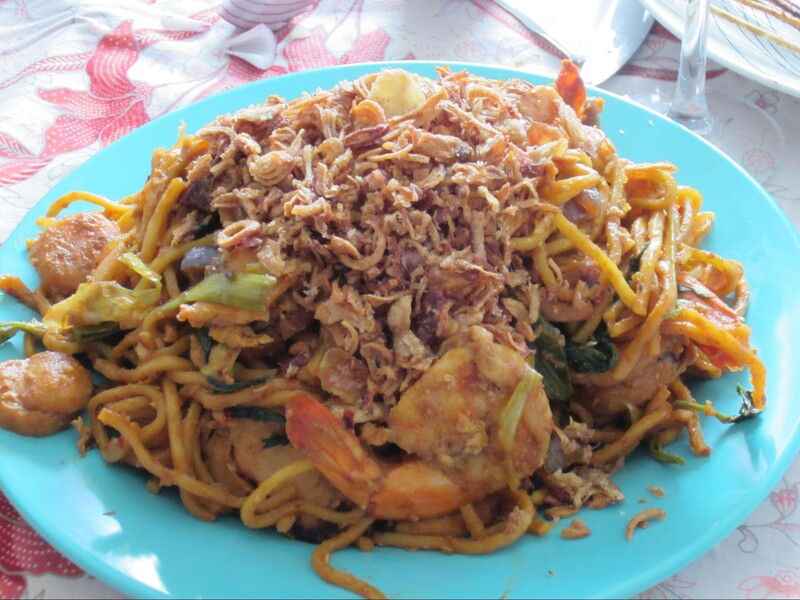 Hokkien mee, or more commonly known as hae mee among the Penangites is a classic bowl of prawn noodles that no Malaysian can afford to miss. The broth is boiled for hours - the more the number of prawn heads and shells, the more fragrant the broth will be. 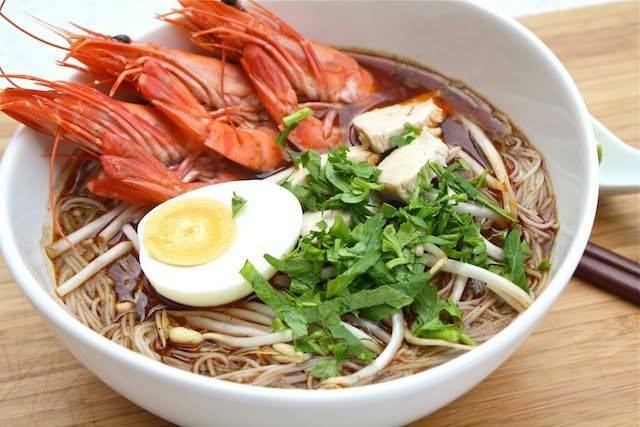 A mixture of egg noodles and rice vermicelli bathed in a pleasant shade of orange broth that tastes like everything you can imagine of prawns - is what a bowl of Penang hokkien mee is made of. Not to be confused with Penang Hokkien mee, Kuala Lumpur’s version is a different story altogether. Fat egg noodles are stir-fried with prawns, pork slices, fishcakes, vegetables and the absolute-must, chu yao char (deep-fried pork fat). Slather all these ingredients with a black, fragrant, caramelized gravy and there you’ll have a deliciously sinful plate of KL Hokkien mee. One of Ipoh’s best eats is their famous shredded chicken rice noodles. The Ipoh kai see hor fun consists of smooth flat rice noodles, chicken shreds, shrimps and spring onions garnished with fried shallots and served with chopped red chillies soaked in light soy sauce on the side. 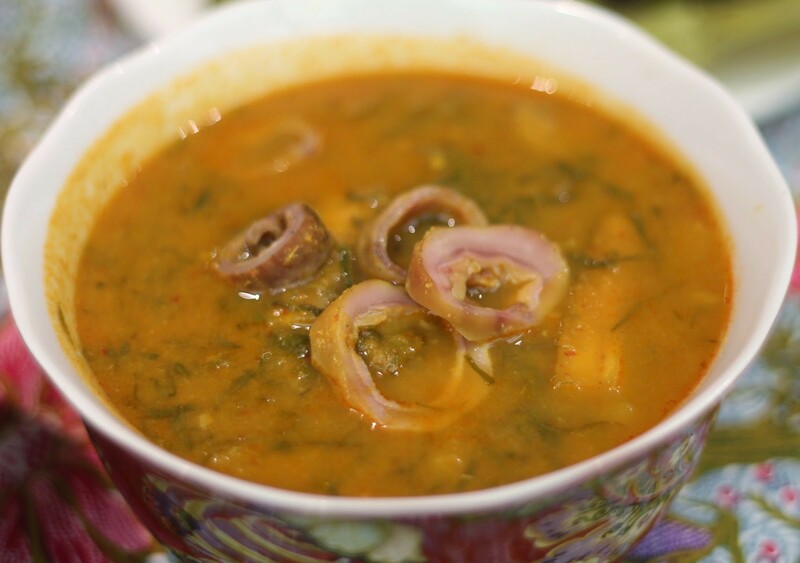 You can have this hearty dish either in dry form or with soup - the decision is yours to make. This roti jala look-alike is well-known in Terengganu and Kelantan, especially the latter. Jala mas is a traditional Malay kuih is made with only three basic ingredients - egg yolk, sugar and water. This sweet delight is also known as ‘Royal Cake’ or ‘Golden Threads’. This hearty Malaysian dish adapted from the ful medammes of Egypt and is rather well-known in Johor, typically in the Larkin region. 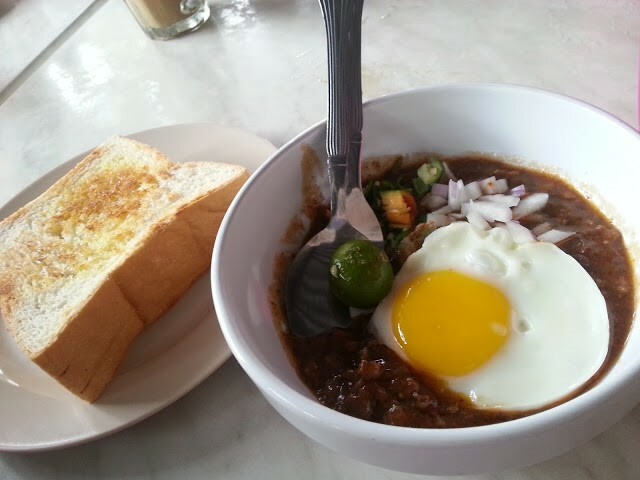 Fava beans served with a sunny side-up, sliced calamansi limes, onions, red chillies and a side of thick buttered toast - and there, you get the idea of a kacang pool meal. This rice meal that is often spotted at your favourite mamak restaurant is a famous northern-Malaysian dish that hails from Penang. Nasi kandar is basically a plate of rice served with an array of dishes. The main highlight however, lies on the generous amount of kuah campur (mixed curries) that is poured onto the rice and floods the grains with an explosion of flavour. 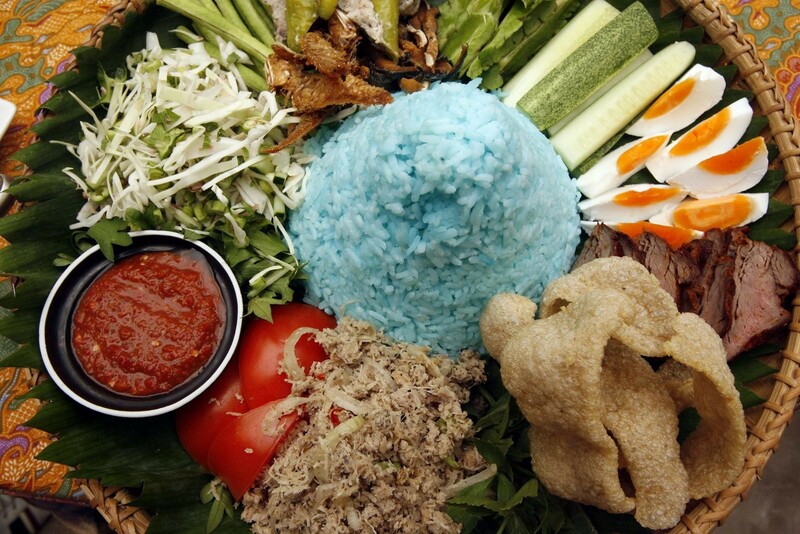 Nasi Kerabu is a classic Kelantanese specialty and is especially well-known in the east coast states of Malaysia. Fish, chicken, salted eggs, prawn crackers, solok lada (mackerel stuffed chillies) and kerisik sambal ikan (coconut flaked fish) are among the side dishes you can expect to indulge with the blue-coloured bunga telang biru (butterfly pea flowers) rice in an authentic nasi kerabu meal. 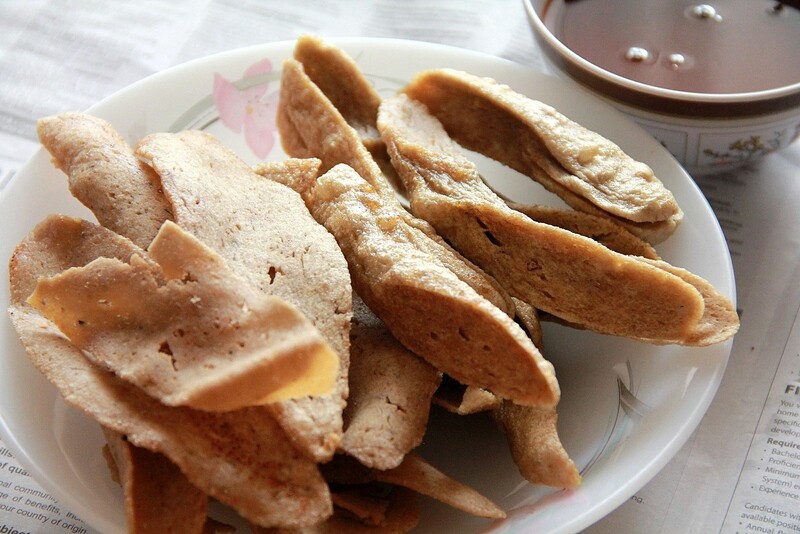 Keropok lekor is a local favourite that originates from the land of Terengganu. 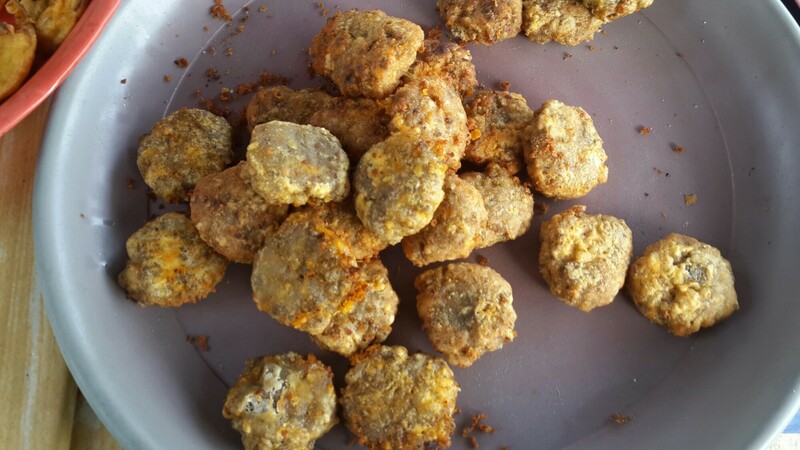 These fish crackers are an addictive snack! This traditional snack comes in two types - the chewy keropok lekor goreng that are shaped like sausages, and the keropok lekor keping which are thin slices with crispy texture. I’m one of them Malaysians who prefer the latter. 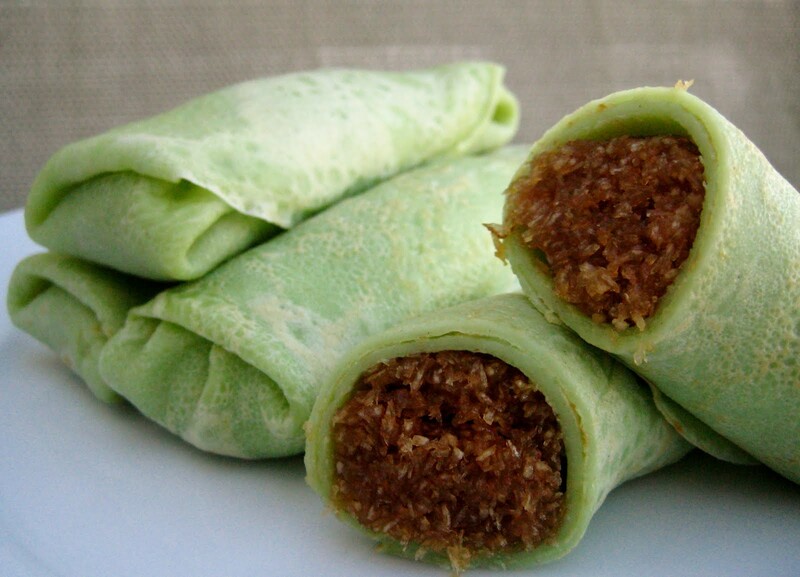 These edible green rolls are actually pandan-flavoured crepes filled with scopious amount of gula melaka that make the perfect snack for tea-time. This kuih goes by many names - kuih gulung, kuih dadar or kuih hijau, but is more commonly known as kuih ketayap. 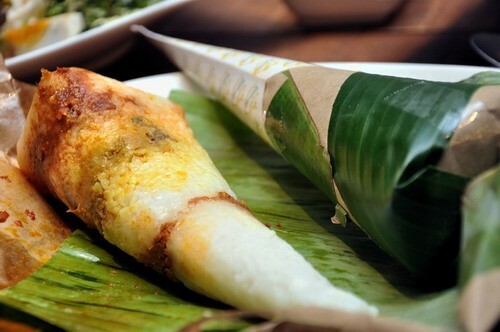 Ketupat daun palas defines itself as glutinous rice rich with coconut milk stuffed into triangular casings woven out of daun palas (Licuala palm leaves). 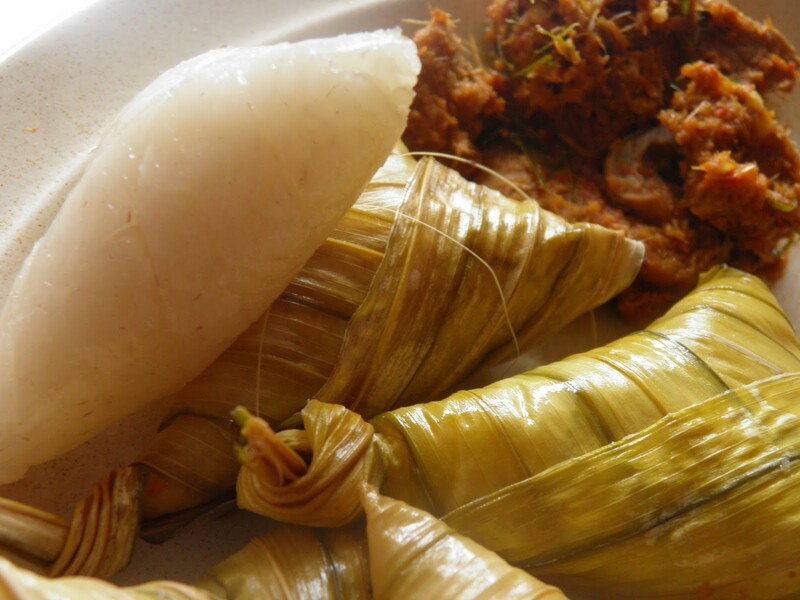 Although the historical roots of this traditional Malay delicacy are widespread throughout our neighbouring countries, only in Malaysia will you get your hands on these perky goodness of ketupat daun palas. 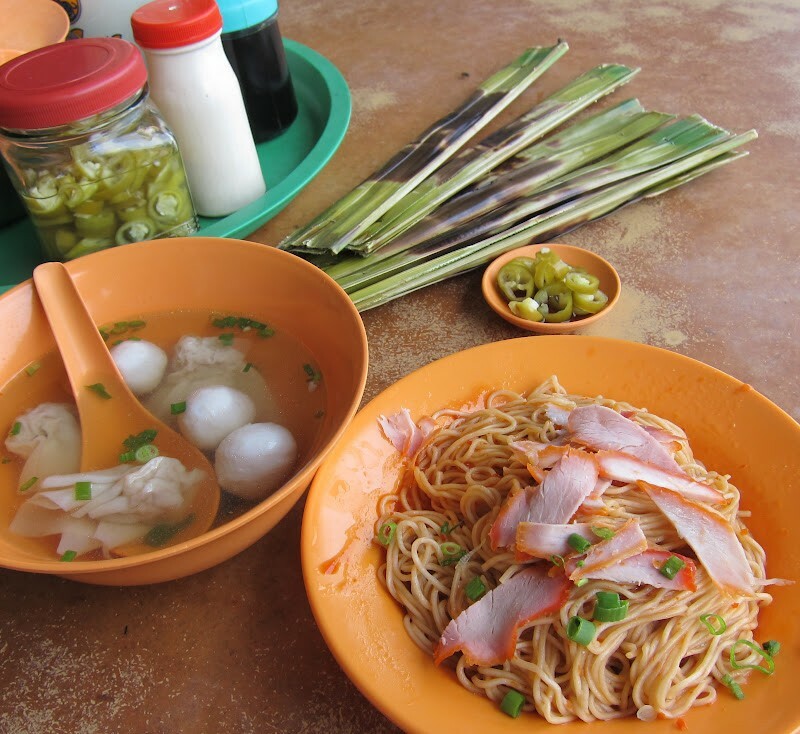 Kolo mee is a signature noodle dish deep-rooted in the hearts of the Sarawakian Chinese, especially in Kuching. A bowl of Sarawak kolo mee comprises of springy egg noodles, topped with char siew (roasted pork) slices, clumps of tender minced pork, chopped scallions and fried shallots. Although these noodles can be found elsewhere in Malaysia and even in Singapore, no kolo mee tastes better than the ones in Sarawak itself. Silky, smooth flat rice noodles with pig intestines and other delectable offals come as an accompaniment in a delectable meal of kway teow kia. Kway chap and kway teow kia are almost similar, except for the kway teow (noodles) where the latter is smaller and thinner in size- and that makes it a unique staple meal for the Johoreans. Laksa Johor is a heritage dish that no one can ever find outside of Johor. Even so, it is not easy to find a good bowl of Laksa Johor for its preparation is rather backbreaking. Sliced onions and cucumbers, bean sprouts, mint leaves and coriander tops a thick, flavourful fish based gravy that blankets a mound of spaghetti. 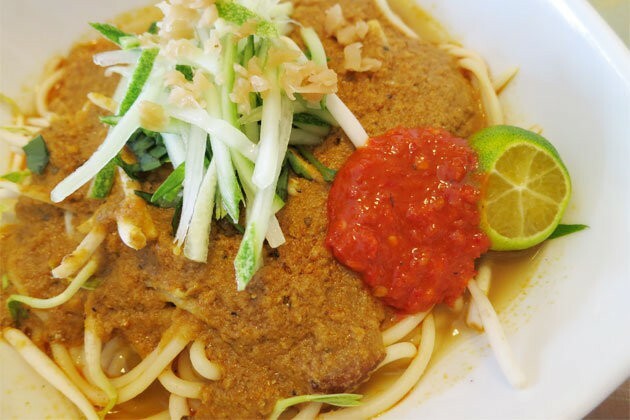 Yes, you read ‘spaghetti’- Laksa Johor is in fact a fusion of Malaysian and Italian cuisine. Penang laksa, also known as asam laksa, is yet another Penang-famous and is arguably one of the best things to eat in the world. Fresh lai fun (thick rice noodles) bathed in tart-tamarind based broth, a bowl of Penang laksa is sure to tickle your tastebuds with it’s sour undertones. 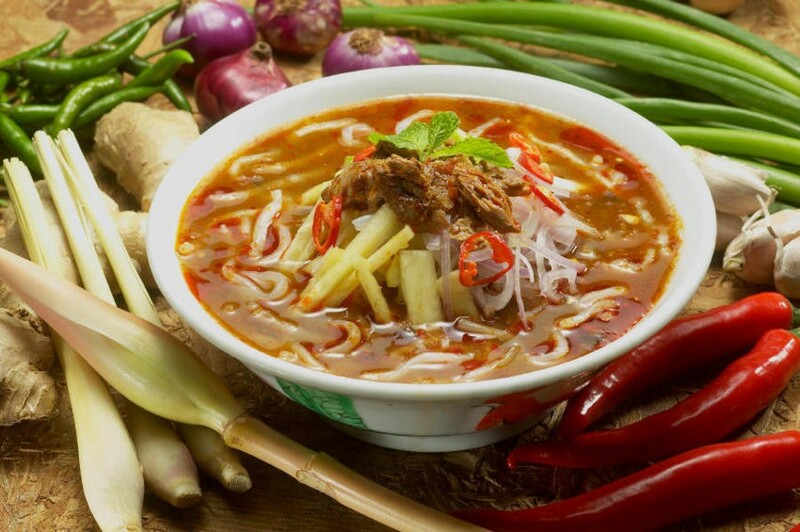 Sarawak laksa is an-all time favourite among the Sarawakians, and is an absolute cannot miss. 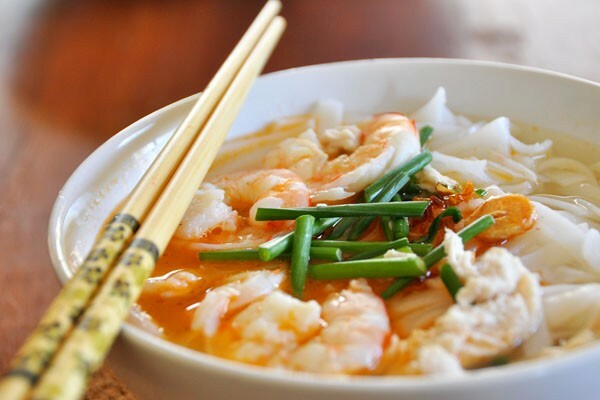 This delicious bowl of beehoon (rice vermicelli) is cooked in a prawn-based broth thickened with coconut milk and garnished with a number of toppings. The juicy, plump prawns are sure catch your eyes. The word ‘laksam’ gives people the impression of it being another type of bright-coloured, spicy broth of laksa- but nope, that isn’t true! This delectable bowl of laksam is no where near laksa- smooth, flat rice noodle rolls bathed in rich, creamy fish broth and finished with bean sprouts, chopped spring onions and an essential dollop of sambal. Nasi lemak is where our home is. This plate of rice cooked in coconut milk served with fried anchovies, peanuts, cucumber slices and a dollop sambal is every Malaysian’s comfort food. 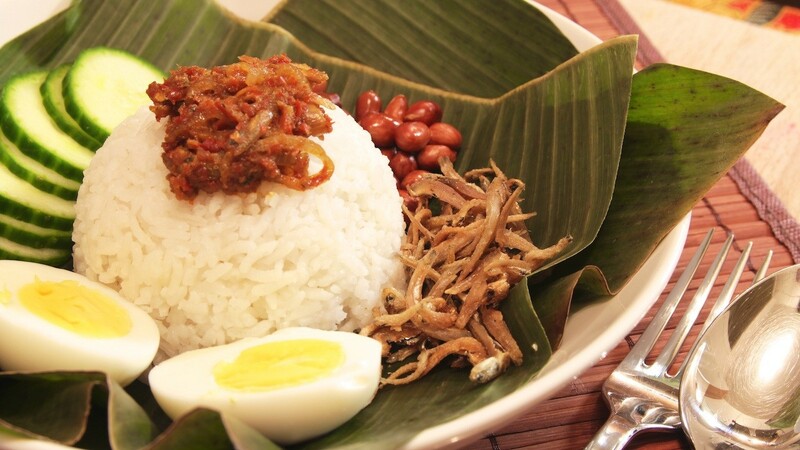 Nasi lemak has conquered many places on the world map but the best plates of nasi lemak can only be found in Malaysia. That said, your arguments are invalid. Lempeng pisang are banana pancakes essentially made with flour and coconuts and mashed bananas- and they look very much similar to the image that often pops into our minds when the word ‘pancake’ is mentioned. There’s no way lempeng pisang wouldn’t hit your sweet notes with the gula melaka syrup drizzled over the fluffy goodness. 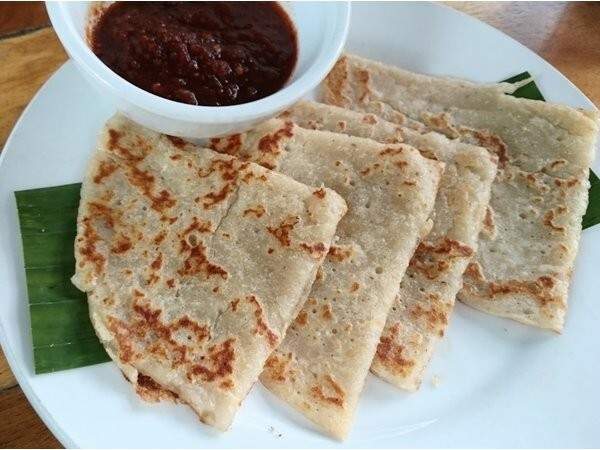 Lempeng kelapa may sound like the former (lempeng pisang) but both are of significant differences. It’s flaky and crispy texture makes it look like junior slices of roti canai. 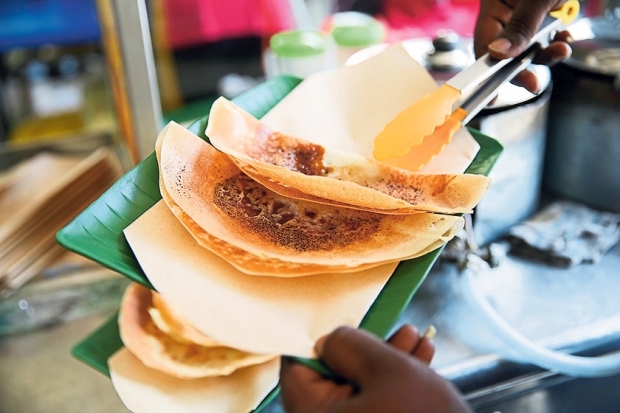 Lempeng kelapa requires effortless preparation - all you need is flour and grated coconut and you’re reading for some lempeng fun. This Indian-Muslim cuisine looks like a simple plate of noodles that you can easily goreng at home - but no, they won’t taste the same as those you savoured at those gritty Mamak restaurants. A plate of mee goreng mamak is essentially yellow noodles stir-fried with a number ingredients - tofu cubes, chicken and shrimps to name some. A glob of chilli sauce and sliced lime make the usual garnish. 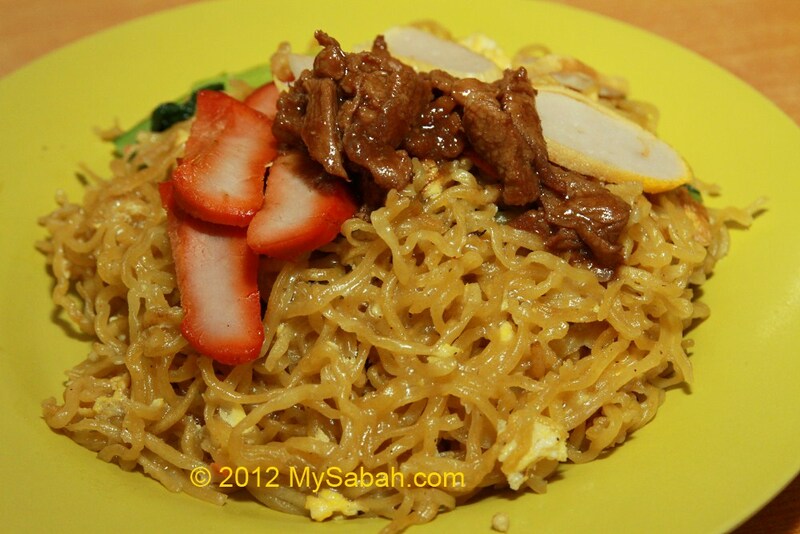 Mee goreng mamak’s sibling dish - Maggi goreng is also a plateful of noodles that deserves to be in your stomach. Mee bandung simply translates as ‘mixed noodles’, though the word ‘bandung’ is often mistaken by few for the city of Indonesia. 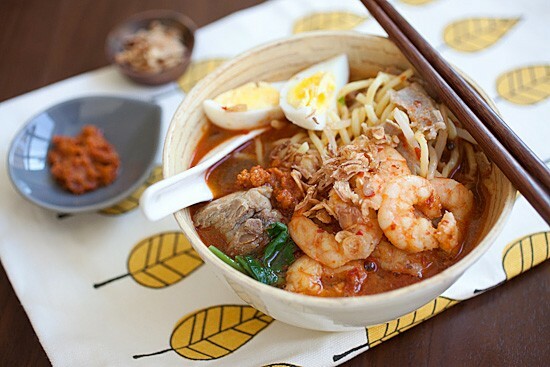 Mee bandung Muar is essentially noodles blanketed by a thick, creamy gravy that is made of diced beef cubes, shrimps, and cuttlefish. Plump prawns, sliced greens and a dollop of zesty sambal garnish the dish. A spoonful of this authentic dish is of rich, bursting prawn flavour that is unlike any other. 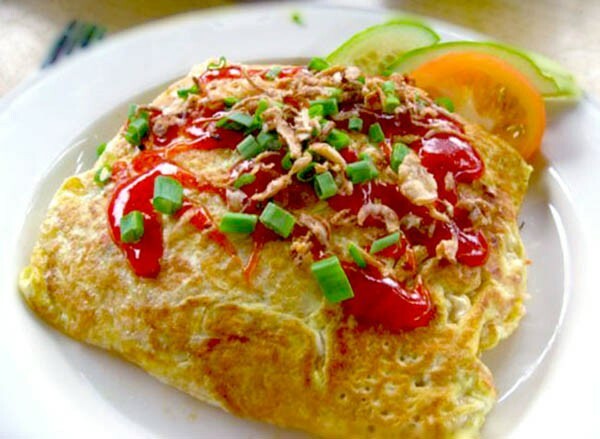 Chicken fried rice wrapped neatly in an omelette drizzled with chilli sauce and sprinkled with some spring onions and fried shallots- nasi goreng pattaya is a simple dish that is simply delicious. Nasi goreng pattaya is a Malaysian dish, but how it’s got its name remains a puzzle to many. Maggi goreng Pattaya is a variant of this rice dish that you ought to try as well. Ngah choi kai (bean sprouts chicken rice) is a dish almost similar to Hainanese chicken rice. The only difference that lies between both variants of chicken rice is the plate full of fresh bean sprouts that comes with every order of ngah choi kai. 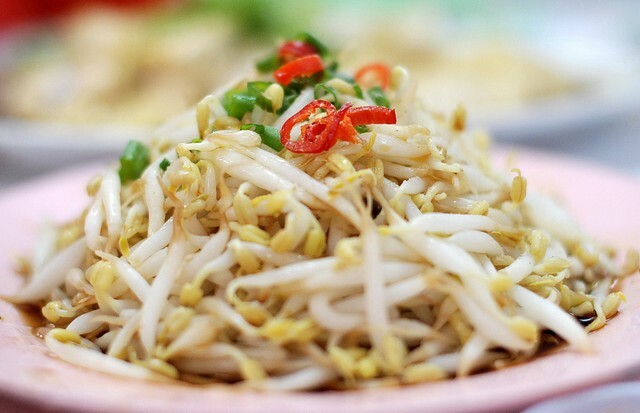 Rice is often served as an accompaniment in this case but in Ipoh, it is a tad bit different for you have the option to indulge in the firm and tender bean sprouts chicken in a bowl of hor fun (flat rice noodles) instead. Muar isn’t only well-known for its mee bandung - their otak-otak are no mean feat either. Otak-otak are charred little parcels of fish cakes that have a hint of chilli, turmeric and curry powder- and are best eaten of the grill. Its soft texture wobbles into your mouth and squishes with every bite. Otak-otak taste so darn good that we keep yearning for more. We know what word goes into your mind after looking at this plate of Pasembor but before you say a word, it consists of fried dough fritters, boiled potatoes, hard-boiled eggs, bean sprouts, cuttlefish and cucumber, drizzled with a thick sweet and spicy peanut sauce. 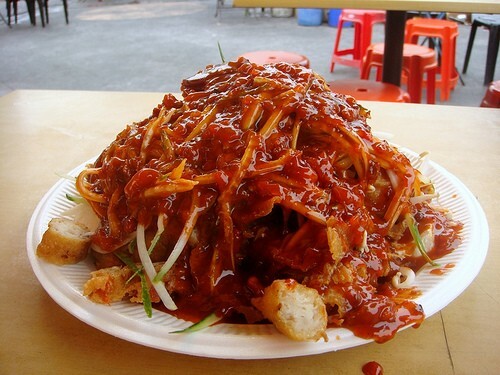 In Malaysia, Pasembor is also known as Indian rojak or Mamak rojak. As messy as it seems, Pasembor is that one dish you shouldn’t judge a book by it’s cover. Perut ikan (Nyonya stewed fish stomach) is a Nyonya cuisine very much loved by the Penangites. It sounds unappetizing and weird, I have to agree with that - but just one scoop of this scrumptious dish and it will blow your mind. The preparation for a sumptuous bowl of perut ikan is no easy task- so don’t forget to savour every last bit! 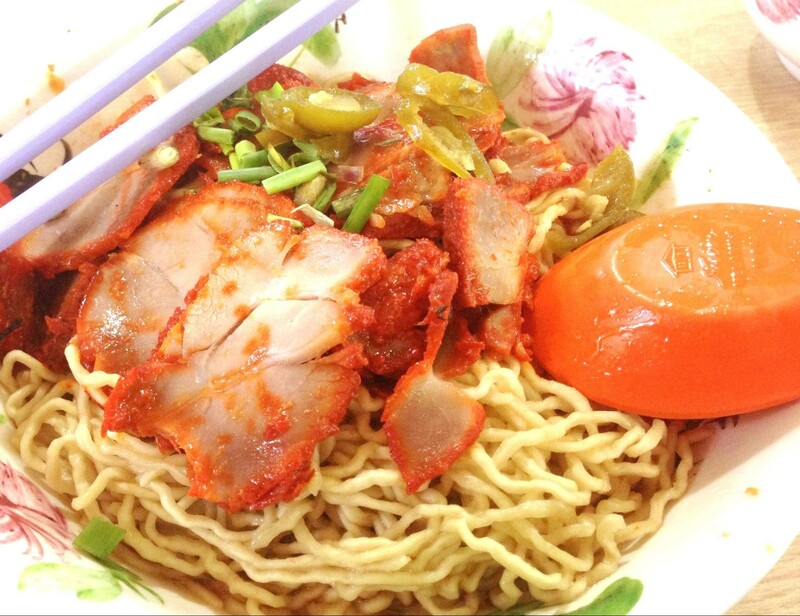 What sets Pontian noodles apart from wanton noodles is its magnificent sauce. A blend of chilli, oyster and soya sauces together with ketchup and shallot oil is of distinct taste and creates a golden hue that beautifies a plate of Pontian noodles. 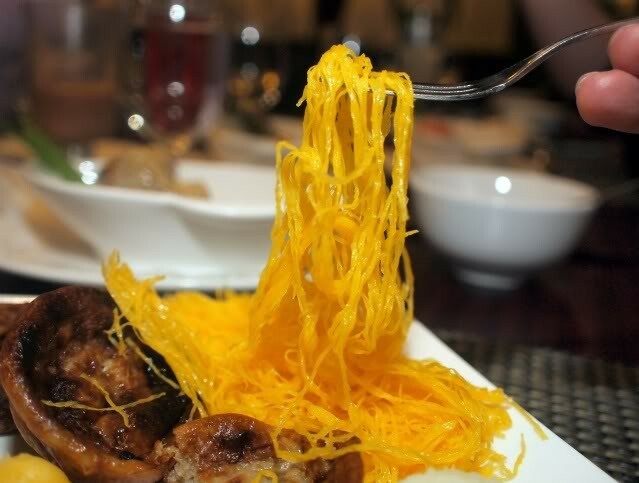 Like wanton noodles, Pontian noodles are often served with wanton and char siew (roasted pork). 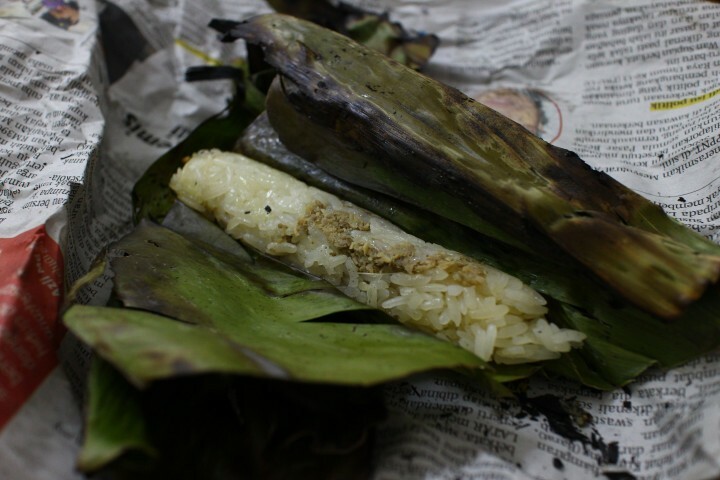 Pulut lepa is a variant of the well-known pulut panggang (grilled glutinous rice). 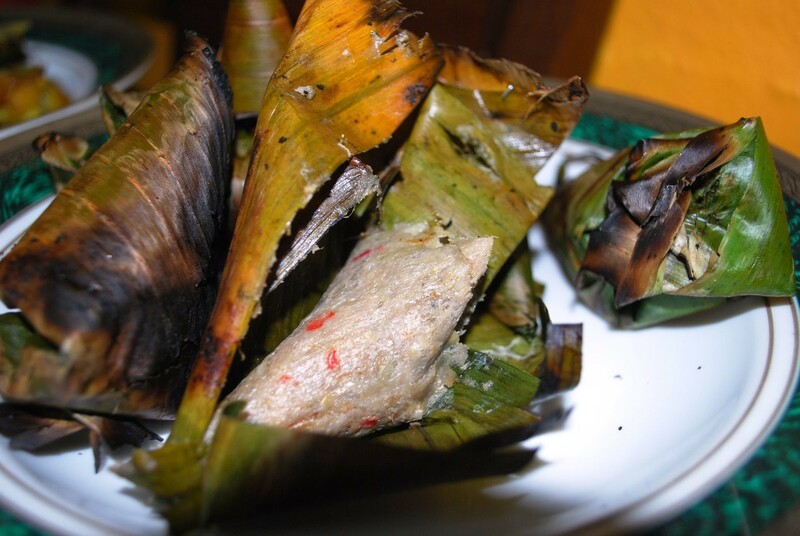 Pulut lepa looks like otak-otak from the outside, but is nothing close to it when its banana leaves are unwrapped. This Terengganu state-snack is deliciously made from glutinous rice steamed with coconut milk with a savoury serunding ikan kembung (spiced mackerel fish floss) filling. 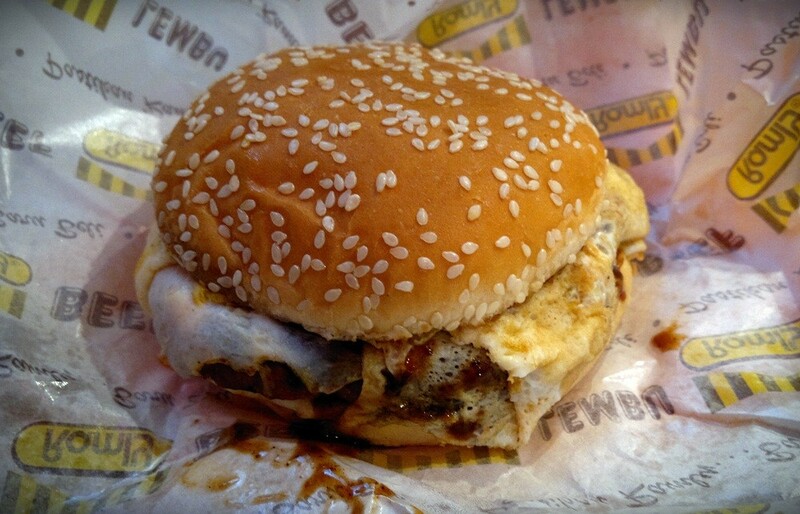 Ramly burger is easily the world’s sloppiest and greasiest yet most gratifying burger. There are countless variations to this street burger- but the typical one consists of an egg, cabbage shreds, onions, various of sauces and of course, your choice of the juiciest beef or chicken patty. We know you’ve surely had one of those sinful moments of gobbling on a Ramly burger at 2am and yes, we also know that it tastes best at that ungodly hour. Kuih rengas is a traditional kuih also known as kuih kasturi or kuih kacang hijau. In English, we call them ‘mung bean fritters’. Boiled mung beans mashed with shredded coconut, then deep-fried altogether - these golden brown patties are crispy yet chewy and are best eaten while hot. 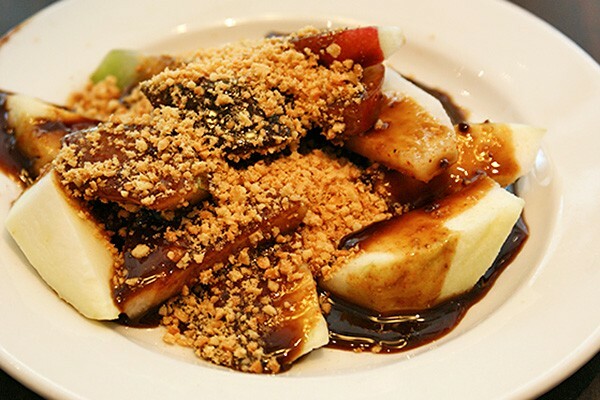 Penang rojak is a healthier alternative to pasembor as it implements fruits such as cucumbers, pineapples and jambu air (water apples) to its dish. The novelty of this edible masterpiece has to be its thick, flavourful hae kor (shrimp paste) that is a delicate blend of sweet and savoury and of course, not forgetting the topping of crushed ground peanuts that no plate of Penang rojak is complete without. Sambal belacan is an indispensable condiment of Malaysian cuisine that consists of chillies, belacan (shrimp paste) and calamansi lime juice. A meal is never complete without a dollop of this amazing paste, as it instantly brings magic out of your dishes and to your taste buds. Sambal belacan is a wonder, indeed. 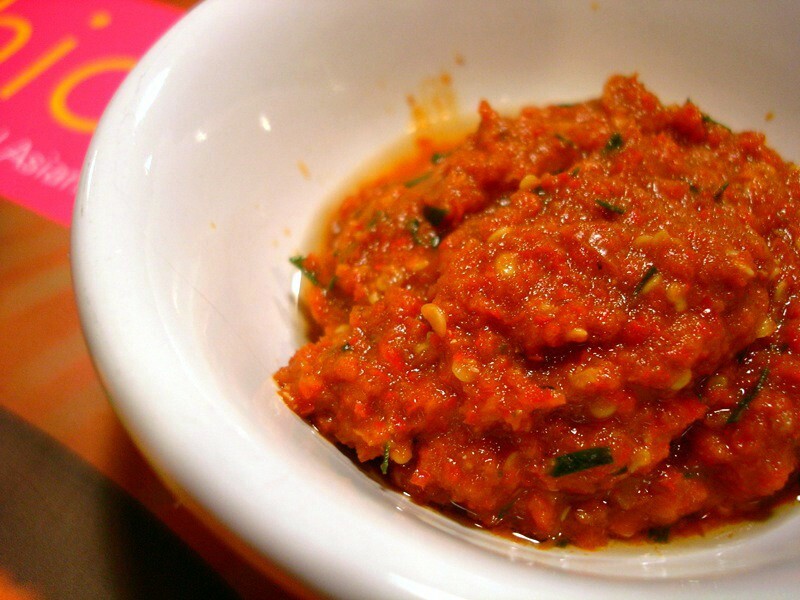 Serunding is a condiment with Kelantanese origins, also known as sambal daging. 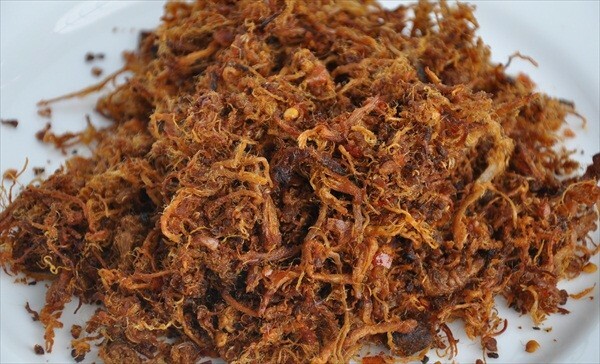 Fine, shredded beef pieces are fried with coconut milk, herbs and spices till bone-dry. Serunding is said to be the floss version of rendang that works really well with lontong, ketupat, white rice or even a piece of plain ol’ bread. 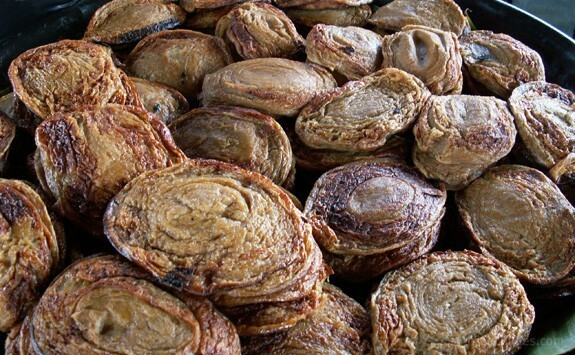 Sata is a type of Malaysian fish cake or otak-otak sold freshly off the charcoal grills in Terengganu - and is probably the state’s best kept secret. As you unwrap the banana leaf, you’ll be greeted by the fragrance of a flavourful fish paste mixed with onions, ginger, chillies, coconut and turmeric leaves - and yes, it’s normal for your saliva glands to react. We know how familiar you are with satay - but what if we added the word ‘celup’? 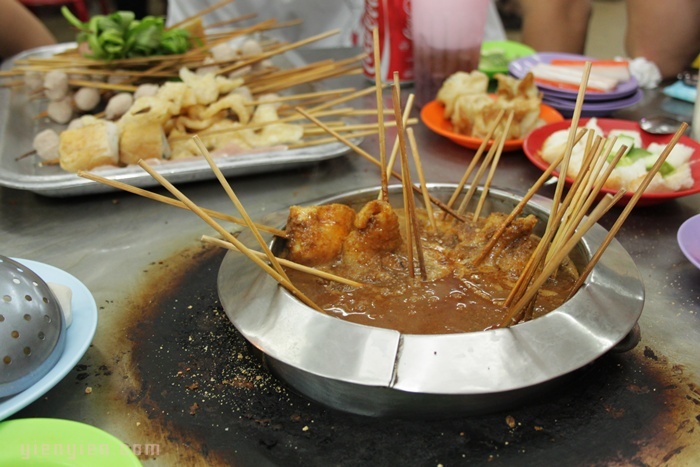 Satay celup is where sticks of entirely raw or semi-cooked meat and vegetables are dipped into a thick pot of gravy- and because of that, satay celup is also known as steamboat satay. Satay celup is so addictive you should be aware - keep count of your sticks before you gobble a hundred without even knowing. Solok lada is essentially green chillies stuffed with mackerel filling and poached with coconut milk. 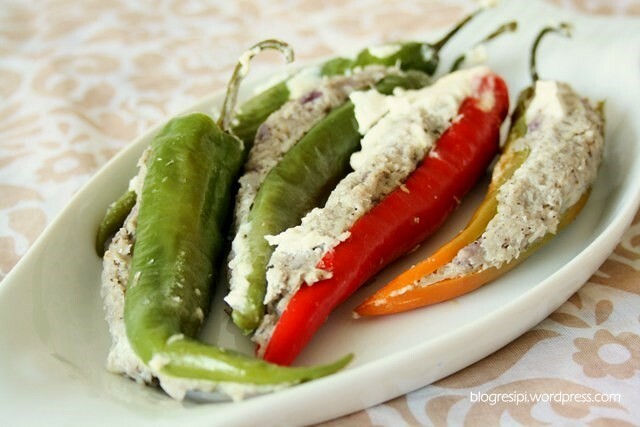 These mackerel stuffed chillies are best eaten with a hot bowl of rice. Solok lada is also known to be a sensational accompaniment to nasi kerabu. 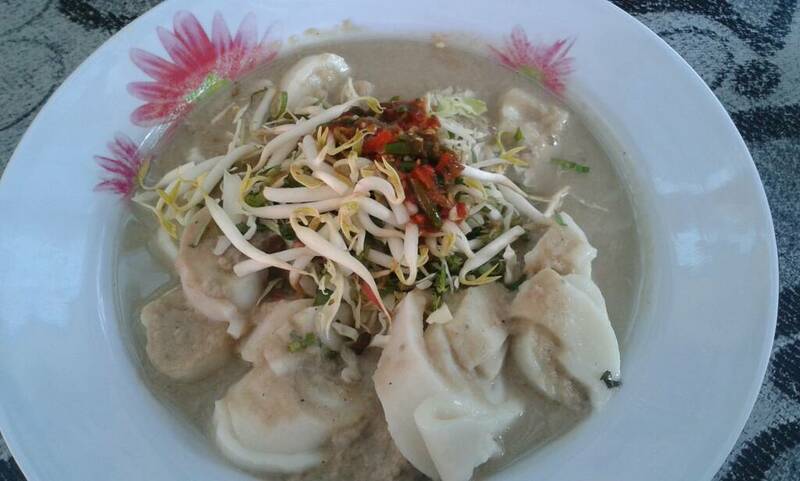 You ought to try this famous Kelantanese dish, if you haven’t. Catfish in fermented durian curry is what the title translates to. Gulai tempoyak ikan patin might sound nothing close to appetizing but fear not for its taste will prove your ears wrong. This exotic dish that hails from Pahang is rich in flavour and has a distinct taste like no other. 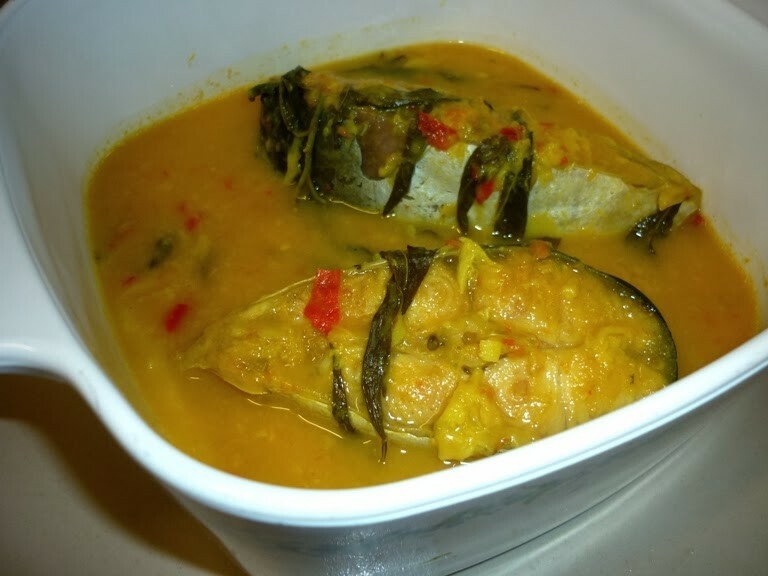 Gulai tempoyak ikan patin is guaranteed to bring your love for durian to a whole new level. 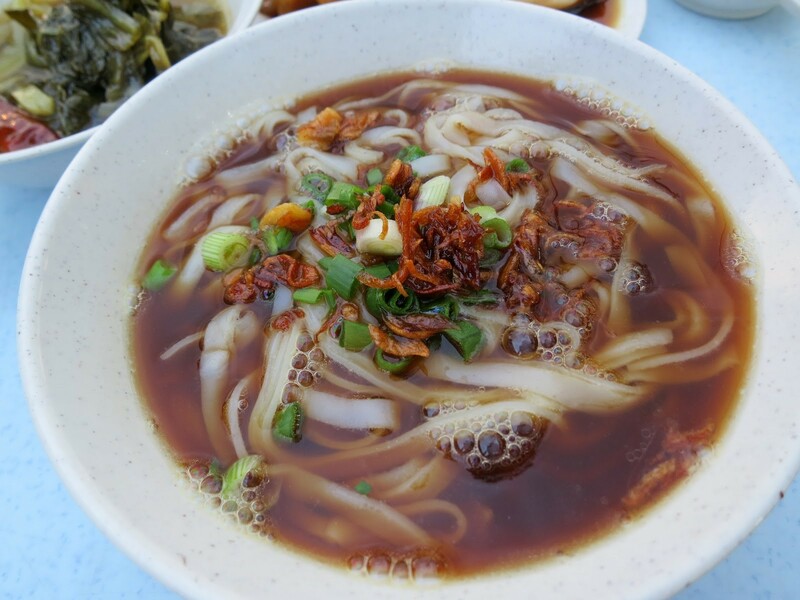 Like laksa to Penang and kolo mee to Sarawak, tuaran mee is Sabah’s very own specialty. This traditional handmade egg noodles tastes best when it is stir-fried with beaten egg and served hot with char siew (roasted pork slices), egg roll slices and some greens. 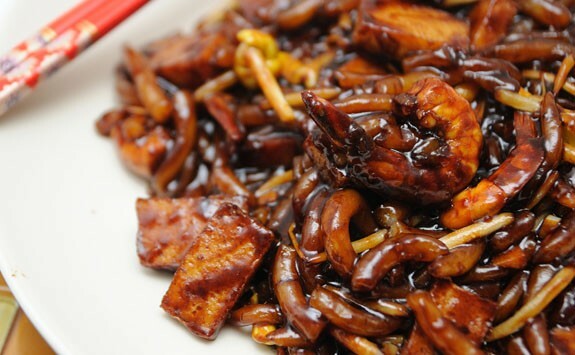 A healthier alternative of tuaran mee would be having it kanlao (dried) slathered with dark sauce. 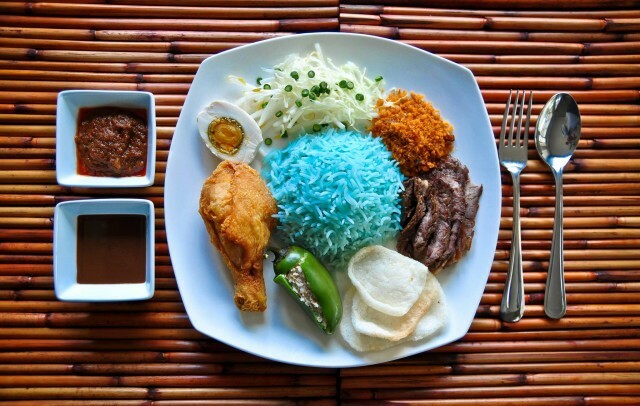 This mystifying Kelantanese rice dish sits high on the quirk chart. Nasi tumpang is essentially rice layered with omelette, cucumbers, rendang, sambal, serunding (meat floss) and your choice of beef or chicken densely packed into a cone-shaped banana leaf. When savoured alongside keropok ikan (fish crackers) and acar, nasi tumpang is one of those dishes that will touch your heart. Malaysia is packed with loads of good flavour and we should be grateful for that. We’re sorry for creating those hunger pangs - it’s time you go get something to bite! If we’ve missed out on any authentic ‘only in Malaysia’ food in this list, do let us know in the comments section below too!